In the Piauí state of Northern Brazil, honey production can provide a key source of income for farmers living in rural poverty. As market demand for certified honey increases globally, switching to organic and fair trade production can help farmers to tap into premium markets – and prices. However, farmers lack the technical knowledge to implement certified production practices, which require compliance with complex international standards. Due to farmers’ dispersal across vast, and often remote, geographies, training programs to equip farmers with the skills they need are not cost-effective, and have ultimately proven unsustainable. 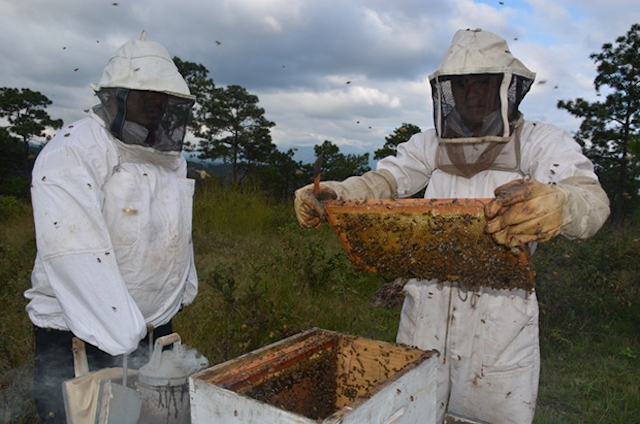 In 2013, TechnoServe and the Walmart Foundation launched an initiative to pilot new, digital methods for providing training to small and medium farmers with the potential to provide honey to modern retailers. TechnoServe first provided in-person training to honey-producing communities, and then developed modules of additional training and reminders that were delivered by SMS message to farmers’ existing phones at key moments during the season.Tailored to meet the unique constraints producers face in terms of time, access to finance, and access to land, this digital training methodology was able to provide quality, inclusive training at scale, utilizing a sustainable, cost-effective model. By the project’s close in 2015, TechnoServe trained 6,250 honey producers in sustainable agronomic and postharvest practices, helping them to improve their productive capacity and quality, and to tap into formal retail markets for premium honey.